Here's a high-neck short white lace graduation party dress with three-quarter sleeves and ruffled accents. 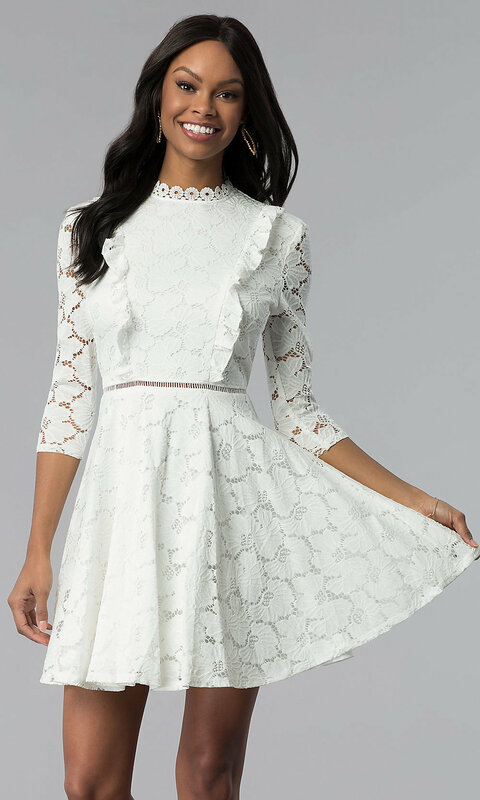 Sweet and stylish, this short a-line junior-size white lace party dress by the designers at City Triangles is the ideal look for graduation, rehearsal dinner, or a reception. The lace-trimmed high neckline and front ruffle accent that cascades along the princess-cut seams of the figure-flattering bodice add to the femininity. 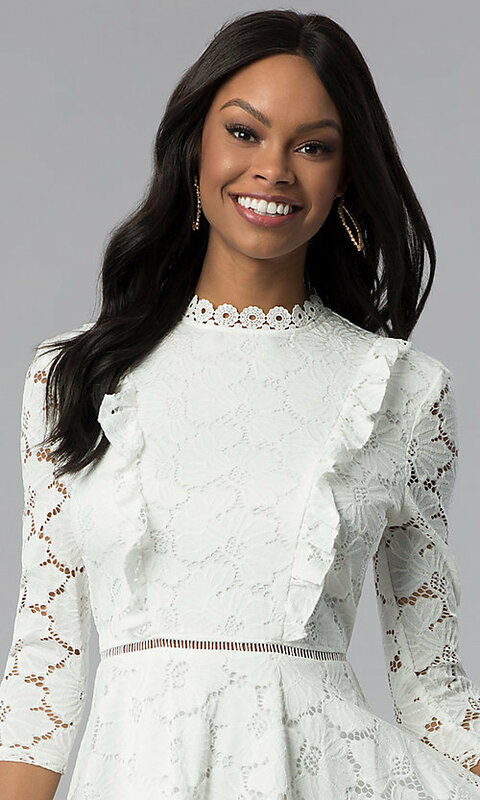 Three-quarter-length lace sleeves make this white lace grad dress ideal for cooler venues while adding to the allure. Flirty ladder-lace detail at the natural waistline crowns the a-line circle skirt on the short graduation dress. Reasonably priced well under $100, this short white lace party dress with ruffles is a charming style for trendsetting fashionistas.